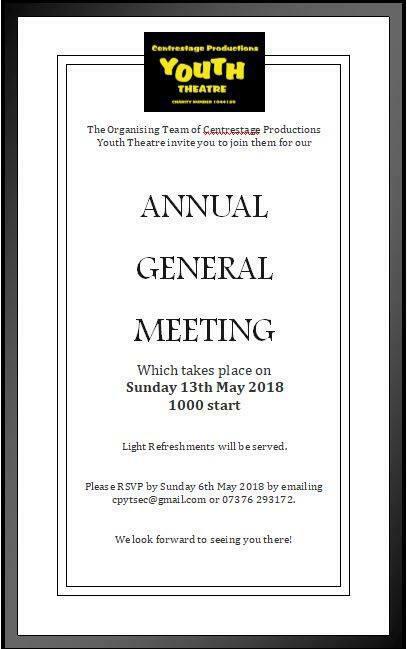 Please come along and join us for our AGM. It is a requirement as a registered charity. At this years meeting, there are some proposed changes to our constitution. These will need to be approved or rejected at the meeting. Resolution for the following 3 amendments to the constitution adopted on the 10th May 2016 to be voted on individually at the AGM on the 13th May 2018. 1) The words "at least 30 members of the Charity for the time being or" shall be deleted. 2) The words "whichever is the greater, plus the President" shall be deleted. The paragraph will now read: "There shall be a quorum when at least 10% of the membership are present at any general meeting." 3) The word "appear" be added to the last but one paragraph. The paragraph will now read:"Until the next AGM takes place this constitution shall take effect as if references in it to the Organising Team were references to the persons whose signatures appear at the bottom of the document."